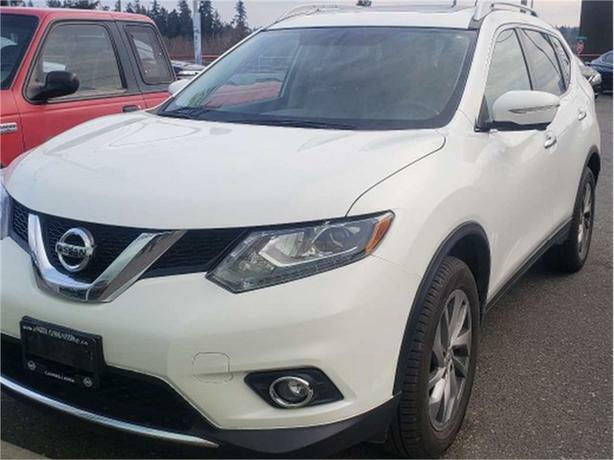 The comfort of the Rogue is fantastic too, like a power seat for your driver and passenger for instant comfort, but that's not all, the driver's seat is memory too, no more annoyance when someone borrows your ride, your seat will go back to your ideal spot with a simple push of a button. The panoramic moonroof allows you to add the natural light in and even a cool breeze through on the warmer afternoon days! And, let's not forget the best feature of all, the remote start! This will allow you to cool down your on our hot sunny days before entering AND to warm it up in our winter months when winter is upon us.